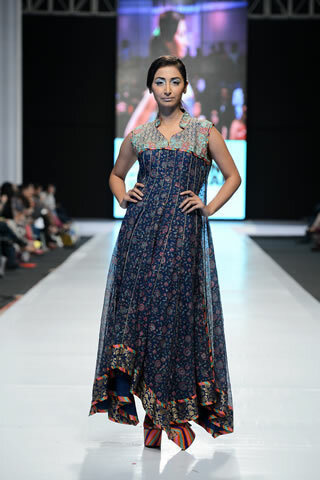 Fashion world latest Fashion: Fashion Pakistan week 2013. The pioneering Fashion Pakistan Council, presented the second and final day of Fashion Pakistan Week 5, 2013 – a platform that endeavors to promote Pakistan’s seasoned and new aspiring fashion talent both on the domestic and international platform. 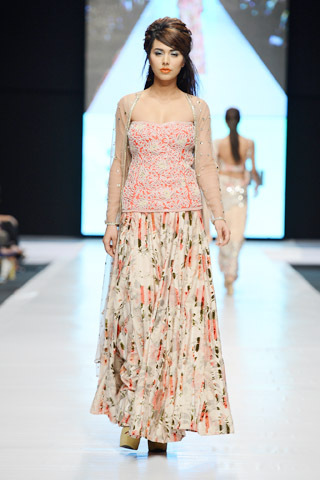 The second and final day of the Fashion Week opened with Shamaeel Ansari,Chairperson of Fashion Pakistan. 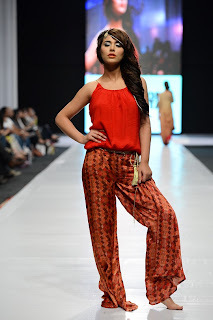 Described as devilishly dynamic, the darling of design whose textures and tones intoxicate was followed by Arsalan & Yahseer, Ayesha Ibrahim, Kayseria, Obaid Shaikh, Rizwanullah, Ishtiaq Afzal and Sania Maskatiya. After the break, the show resumed with Sana Safinaz as the opening act followed by Gul Ahmed, Hajra Hayat, Jafferjees, Hasina Khanani, Nauman Arfeen and Deepak Perwani. Labels: Fashion Pakistan week 2013.